Wootz is the anglicized version of ukku in kannada language of the state of Karnataka, a term denoting steel. Literary accounts suggest that the steel from the Karnatka was exported to Europe, China, the Arab world and the Middle East. Though an ancient material, wootz steel also fulfills the description of an advanced material, since it is an ultra-high carbon steel exhibiting properties such as superplasticity and high impact hardness and held sway over a millennium in three continents- a feat unlikely to be surpassed by advanced materials of the current era. Wootz deserves a place in the annals of western science due to the stimulus provided by the study of this material in the 18th and 19th centuries to modern metallurgical advances, not only in the metallurgy of iron and steel, but also to the development of physical metallurgy in general and metallography in particular. A description from the Crusades of the Damascus blades is as follows: One blow of a Damascus sword would cleave a European helmet without turning the edge or cut through a silk handkerchief drawn across it. One sixth century writer describes blades as having a water pattern whose wavy streaks are glistening-it is like a pond on whose surface the wind is gliding. This steel making process was practiced in Karnataka since great antiquity. The ancient Indian steel was known as Damascene steel in Persia and was in great demand in the Persian courts of the First Millennium BC. 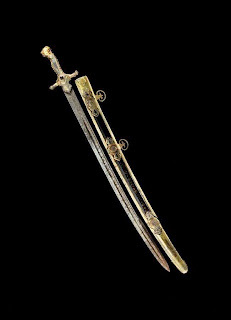 Even Alexander was presented a sword made of such steel. Coze studied the etymology of the terms denoting steel. Taking into account the fact that the names given to steel in different languages have always a technical content (hardness, resistance, etc. ), Le Coze traced the transformation of the term Wootz, denoting the Indian crucible steel, through the Arab texts of the 9-12th centuries AD describing the preparation of the crucible steel named fulad. He discovered that fulad had an Indian origin of the word as transformed by Arab travellers. There are numerous early literary references to steel from India from Mediterranean sources including one from the time of Alexander (3rd c. BC) who was said to have been presented with 100 talents of Indian steel. During the reigns of the Roman Emperors Marcus Aurelius and Commodus, Ferrum Indium appears in the list of dutiable articles. In the 12th century the Arab Edrisi mentioned that the Hindus excelled in the manufacture of iron and that it was impossible to find anything to surpass the edge from Indian steel, and he also mentioned that the Indians had workshops where the most famous sabres in the world were forged,. while other Arab records mention the excellence of Hinduwani or Indian steel as discussed by Egerton. The legends associated with the excellent properties of the wootz steel and the beautiful patterns on Damascus blades caught the imagination of European scientists in the 17th-19th centuries since the use of high-carbon iron alloys was not really known previously in Europe and hence played an important role in the development of modern metallurgy. British, French and Russian metallography developed largely due to the quest to document this structure. Similarly the textured Damascus steel was one of the earliest materials to be examined by the microstructure. Smith has fascinatingly elucidated this early historiography of the interest in the study of wootz steel and its significance to the growth of metallurgy. Although iron and steel had been used for thousands of years the role of carbon in steel as the dominant element was found only in 1774 by the Swedish chemist Tobern Bergman, and was due to the efforts of Europeans to unravel the mysteries of wootz. Tobern Bergman was able to determine that the compositions of cast iron, steel and wrought iron varied due to the composition of plumbago i.e. graphite or carbon. As suggested by Smith the Swed ish studies received an impetus following the setting up of a factory to make gun barrels of welded Damascus steels, and it was on observation of the black and white etching of the steel and iron parts that a Swede metallurgist guessed that there was carbon in steel, and interest in replicating true Damascus steels followed. 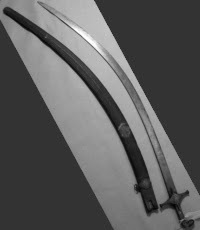 In the early 1800's, following the descriptions of crucible steel making in Karnataka by the European travellers, there was a spurt in interest in Europe in investigating south Indian wootz steel, from which the fabled Damascus blades were known to be made, with the aim of reproducing it on an industrial scale. Mushet's studies in 1804 were one of the first to correctly conclude that there was more carbon in wootz than in steel from England, although this idea did not gain currency until later. Michael Faraday, the inventor of electricity and one of the greatest of the early experimenters and material scientists, as pointed out by Peter Day, was also fascinated by wootz steel and enthusiastically studied it. Along with the cutler Stodart, Faraday attempted to study how to make Damascus steel and they incorrectly concluded that aluminium oxide and silica additions contributed to the properties of the steel and their studies were published in 1820. They also attempted to make steel by alloying nickel and noble metals like platinum and silver and indeed Faraday's studies did show that that the addition of noble metals hardens steel. Stodart reported that wootz steel had a very fine cutting edge. Following this the interest in Damascus steel moved to France. Wadsworth and Sherby have pointed out that Faraday's research made a big impact in France where steel research on weapons thrived in the Napoleonic period. The struggle to characterize the nature of wootz steel is well reflected in the efforts of Breantin the 1820's from the Paris mint who conducted an astonishing number of about 300 experiments adding a range of elements ranging from platinum, gold. silver, copper, tin, zinc, lead, bismuth, manganese, arsenic, boron and even uranium, before he finally also came to the conclusion that the properties of Damascus steel were due to 'carburetted' steel. Smith has indicated that the analysis of ingots of wootz steel made in the 1800's showed them to have over 1.3% carbon. The Russian Anasoff also studied the process of manufacturing wootz steel and succeeded in making blades of Damascus steel by the early 1800's. In the early 1900's wootz steel continued to be studied as a special material and its properties were better understood as discussed further in the next section. Belaiew reported that blades of such steel to cut a gauze handkerchief in midair. In 1912, Robert Hadfield who studied crucible steel from Sri Lanka recorded that Indian wootz steel was far superior to that previously produced in Europe. Indeed in the 18th-19th century special steels were produced in Europe as crucible steels, as discussed by Barracloug. The first iron artefacts go back to the 4th and the 3rd millennium BC and were found in Anatolia, Mesopotamia and Egypt. Metallurgy, however, did not begin with the early manufacturing of meteoric iron, but much later, with the extraction and the processing of iron ores. The first ovens built by our ancestors could achieve the melting point for copper but they could not reach the temperature necessary to obtain liquid iron. As a consequence, only an unrefined, iron-rich sponge bulk could be produced at the end of the reduction process carried out utilizing coal. The iron obtained could be forged but it had low toughness. Hittite(Immigrants from India) were first to develop the new technology of iron metallurgy and this happened in Anatolia, around the XIV-XIII century BC. The poet Virgil uses indeed the metaphor "Chalibes'metal" to indicate iron or steel and the modern Greek word for steel is "hali-vas". Assyrians, Egyptians and Dorians all made use of iron for military purposes but it is the Hittites who maintain the monopoly on iron technology until their defeat around the year 1200 BC. The advent of the Etruscan iron metallurgy and its development by the Romans, marks the transition from the first to the second Iron Age. Metallurgy did not undergo substantial innovation but rather improved previously developed technologies. The real start of the ironmaking developments, which still continue today, is generally situated in the 14th century, when the utilization of larger shaft furnaces for the production of iron spread. This type of furnace, called "stuckofen" , is generally recognized as the forerunner of the blast furnace. Karnataka has the richest resources of iron ores of the order of 1000 million tons of Iron and 25000 million tons of magnetic ores. Major deposits occur in Bellary, Chickmagalur and Chitradurga districts. Some of the richest deposits analyzing to more than 62 per cent iron ore occur in Bellary . Among the four most outstanding metallurgical achievements of antiquity, the production of Wootz steel is the most dazzling one. The development of this steel occurred in Karnataka and allied regions. Wootz is the anglicized version of ukku in the Kannada language of the state of Karnataka. A reference must be made to the pioneering role of Sir M Visvesvaraya in establishing in 1923 the Mysore Iron and Steel Limited at Bhadravathi, as the first public sector steel plant in the country. The company started with a miniature charcoal blast furnace and was gradually transformed into an alloy and special steel plant. LD , electric furnace and continuous casting were introduced at various stages . A diversification into production of ferroalloys has taken place. Today the plant is known as Visvesvaraya Iron and Steel Limited. The major consideration for locating the Jindal Vijayanagar Steel Plant at Torenagallu in Bellary District is the presence of extensive high grade iron ore deposits in Bellary -Hospet region. This plant is to make use of the Corex process. Currently scientists at I I Sc are modelling the corex process. Kudremukh means the face of a horse, as the profile of the mountain near Mangalore resembles it. This is no ordinary mountain but a rich lode of iron ore. It is one of the largest iron ore deposits of the world and the largest in Asia. Average daily production of ore is 70,000 tons. The famous Mysore Palace in Mysore near Bangalore built by the Wodeyars at the turn of the century was the first royal palace in India to make use of cast iron in architectural construction.